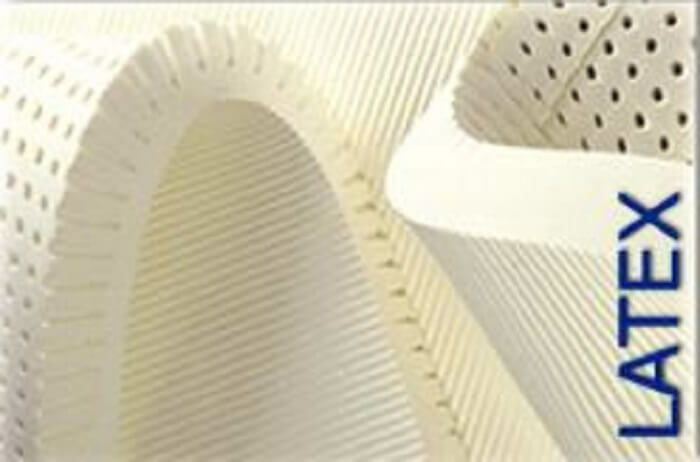 Mattress Construction…What’s it Made Of? 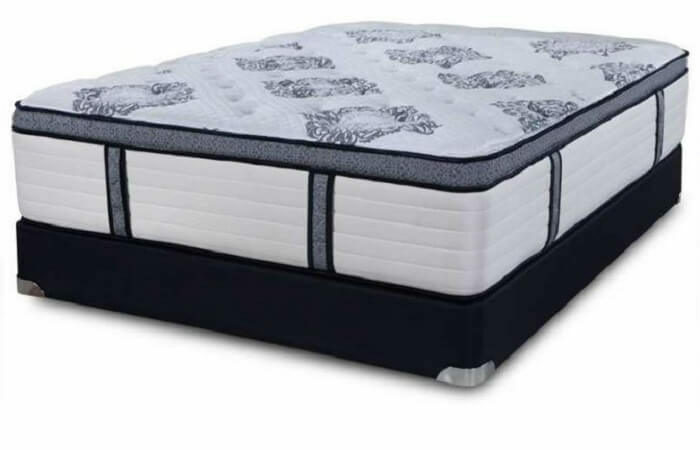 Traditionally, innerspring mattresses would have a spring set that was one interwoven system, which was then encased in foam and other materials. Eventually, the springs enduring the weight would compact and spread out, leaving the bed not so firm or saggy in spots. 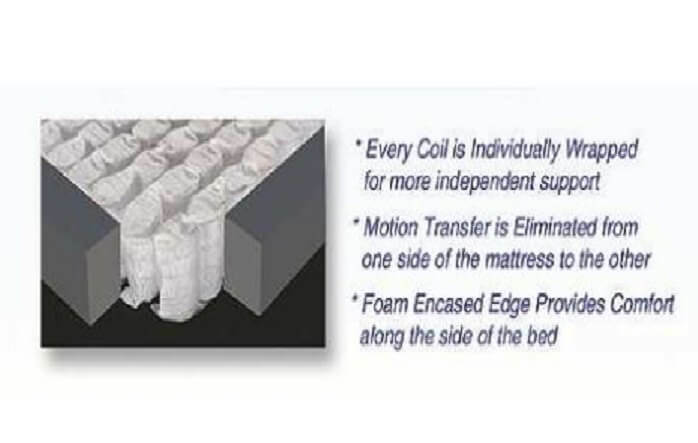 Individually wrapped coils are different because they keep each coil from spreading outward (keeping the bed firm), and because they are wrapped individually (enclosed) and sewn to the adjoining coil pocket, they help to reduce motion transfer. The Gel Pad, Latex and High Density Foam come together in a surprisingly supportive way. Many people have a hard time deciding between latex and memory foam. Some people have described the difference between latex and memory to be most noticeable in the density of the materials. Memory foam is typically referenced as a floating, cloudlike feel, whereas latex is commonly said to be springier or even buoyant feeling. Both are usually supported by additional layers of high density foam for extra support, and in this case, there’s a gel pad in there too (for added comfort). Latex can be perceived as more consistently firm than memory foam because memory foam is heat responsive; latex is not temperature sensitive. Memory foam can be soft if it’s warm in the room, and firm if it’s cool in the room. Response time differs too. Latex will quickly return to its original shape, while memory foam can take several seconds or even minutes to do so. Both materials tend to be considered soft but supportive, and both conform to the contours of the body (resulting in minimization of pressure points), but latex can be a better fit for those who need a heavier, denser type of foam mattress. 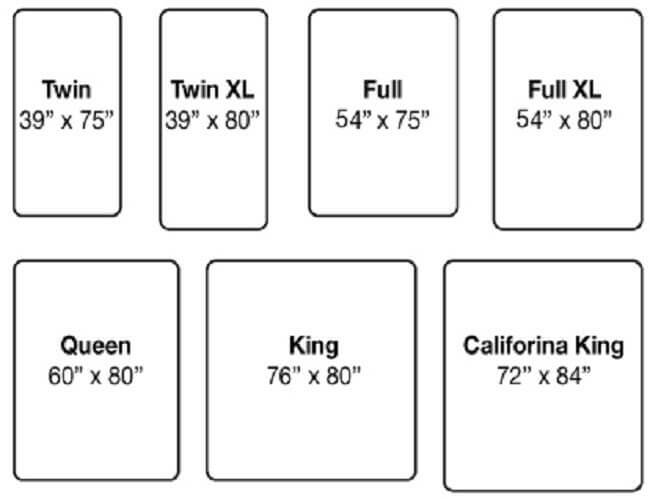 In addition to Innerspring Mattresses, we specialize in Healthy, Natural and Organic Bedding. Our selection ranges from high-end name brand mattresses to locally made chemical free varieties, featuring organic latex. We also have a substantial collection of hybrid mattresses. Call for more details and options.